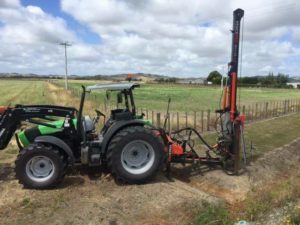 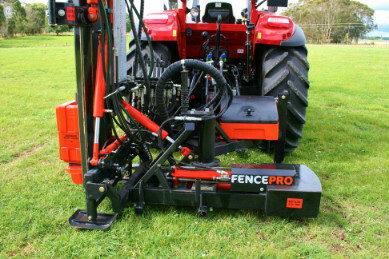 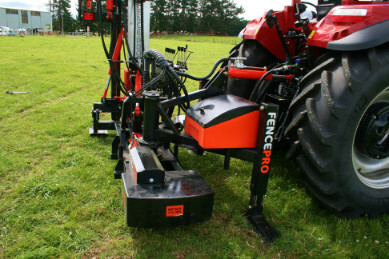 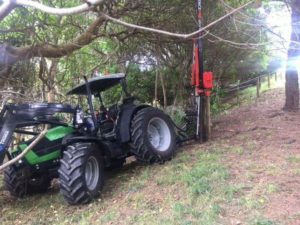 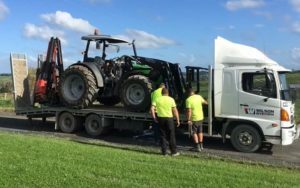 The new Fencepro 180 degree Rotating base postdriver has full 180 degree rotational swing and uses a hydraulic ram to push the post driver in a smooth arc right around from one side to the other. 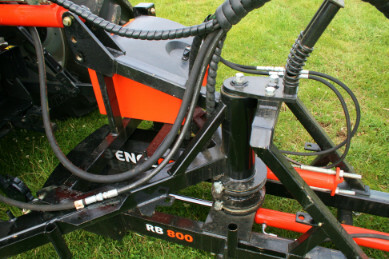 The Base also has 800 mm of travel in and out right around the arc. 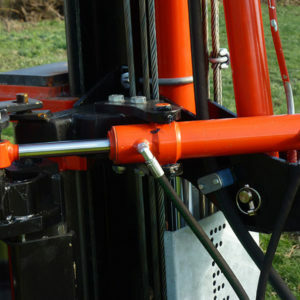 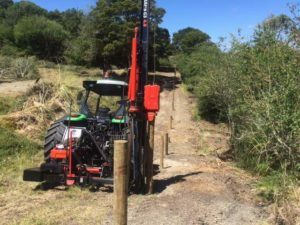 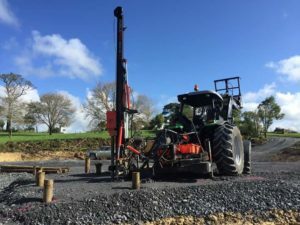 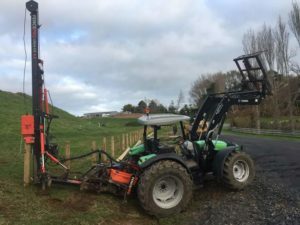 The hydraulic legs at the front of the base lift the rammer of the ground so you can swing it anywhere on the arc without scuffing up the ground. 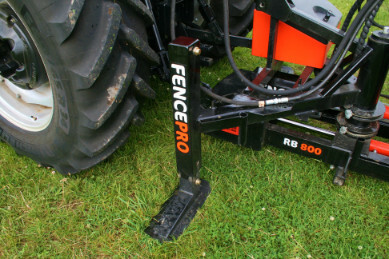 The RB800 Base can be fitted to any Mule or Ultra series post driver and may even be compatible with other brands. 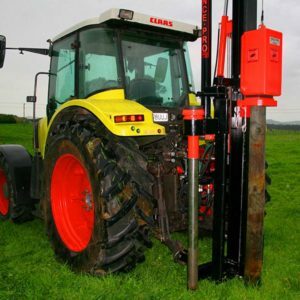 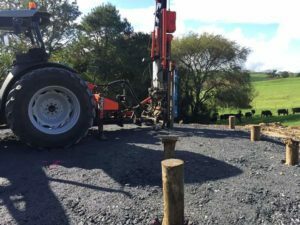 Unlike other brands when you have to purchase a complete post rammer and base combination – the RB800 can be fitted with a wide range of masts. 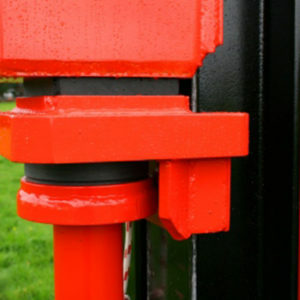 This fits the Fencepro policy MBA policy which is Mast, Base, attachment. 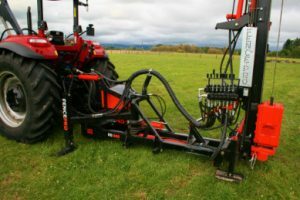 Simply pick the Mast model such as Ultra G2, the base, which could be the SM900 side mounted model or the new RB800 180 degree model. 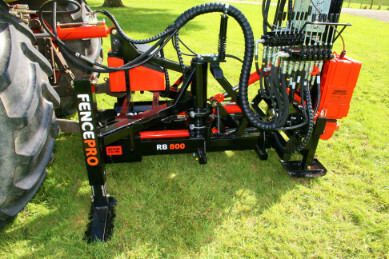 Then add the attachments you need such as the Rock Spike or the auger, or the Rockdrill system.